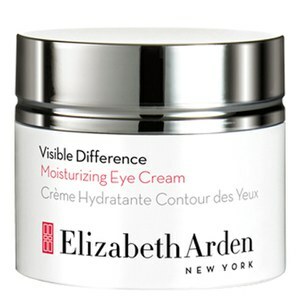 Deeply hydrate your complexion with the Visible Difference Refining Moisture Cream from Elizabeth Arden. Developed to rejuvenate dull, tired skin, the anti-ageing formula defends against environmental aggressors and free radical damage so you can experience a velvety soft, supple complexion and natural glow. Fast-absorbing and non-greasy, the rich cream delivers intense nourishment to smoothen the appearance of fine lines, whilst visibly improving the skin's texture and reviving radiance. Delicately fragrances with uplifting notes of freesia, mandarin, rhubarb and pineapple. E.N. Dermatologist, allergy and clinically tested. Apply daily to face and neck, morning and/or evening. Water/Aqua/Eau, Glycerin, Squalane, Cetearyl Alcohol, Polysorbate 60, Isopropyl Myristate, Beeswax/Cera Alba/Cire D'abeille, Olea Europaea (Olive) Fruit Oil, Retinyl Palmitate, Allantoin, Panthenol, Laureth-7, C13-14 Isoparaffin, Polyacrylamide, Sodium Hydroxide, Disodium Edta, Parfum/Fragrance, Benzyl Benzoate, Geraniol, Hexyl Cinnamal, Hydroxycitronellal, Limonene, Linalool, Methylisothiazolinone, Methylparaben. Excellent service from Look Fantastic, great product,fantastic value for money!! I have been using this product for years as many people recommend it as facial lotion for sensitive skin. I'm never disappointed by this. I think this product is good. And the price is very nice! There are some minor problems in the process of buying. Thank you very much for the website customer service to help me solve the. 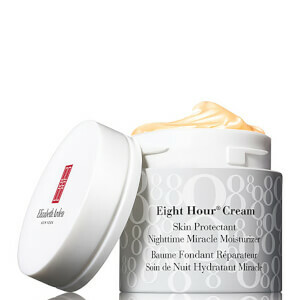 This bottle of cream is to give a friend, she is in the north, the skin is dry, she said the feedback is very good.